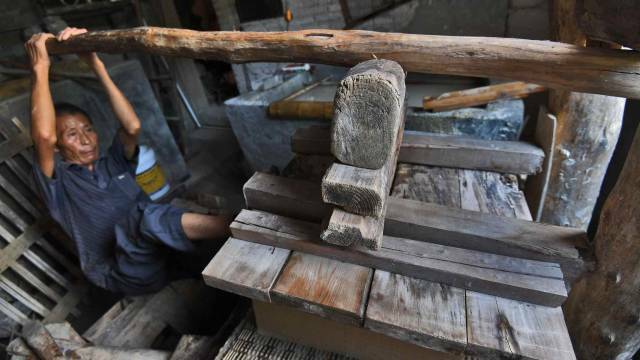 This man, born in a village in southwest China’s Guizhou Province, leads a life that people from the outside can’t easily understand, but has a major significance. 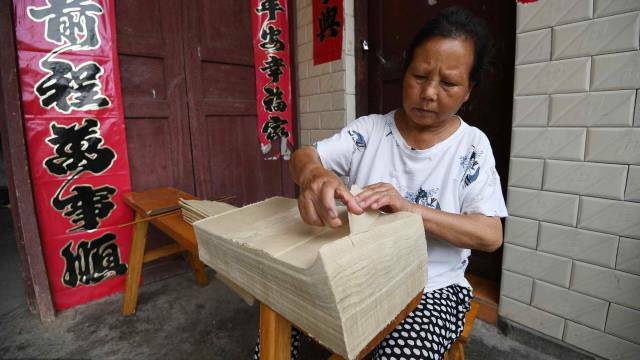 65-year-old Huang Shiguo lives on traditional Chinese papermaking and has worked with the same technology for some 36 years. 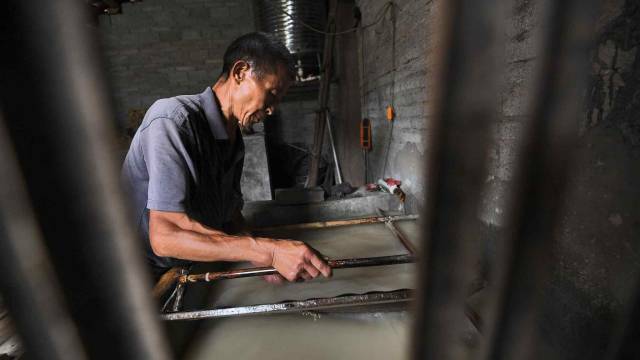 The time-consuming and onerous process of making paper can help him earn 9,000 yuan (approximately 1,380 US dollars) a month. It’s obviously harder than the work of men working in air-conditioned offices but he enjoys spending time on his instruments. 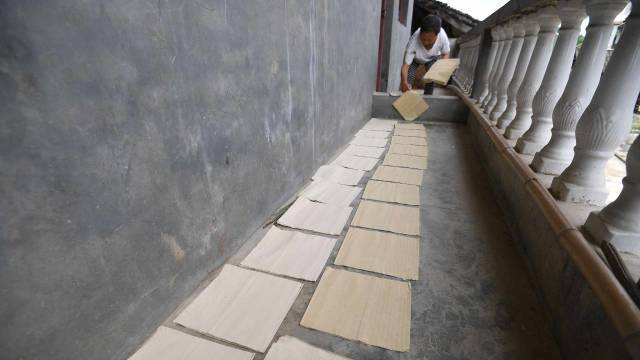 Soaking, cooking, rinsing bamboo shoots and turning them to paper pulp are the necessary parts of the 72 steps required to make a sheet of paper, which usually takes around 55 days. 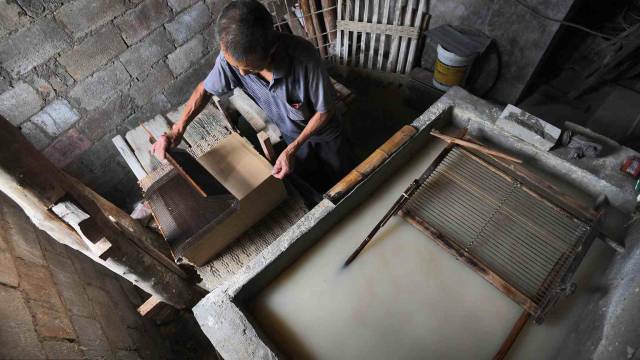 Huang said that each day he can produce 3,000 sheets of paper and he also added that paper produced with traditional craftsmanship looks whiter and is softer but is also more durable. 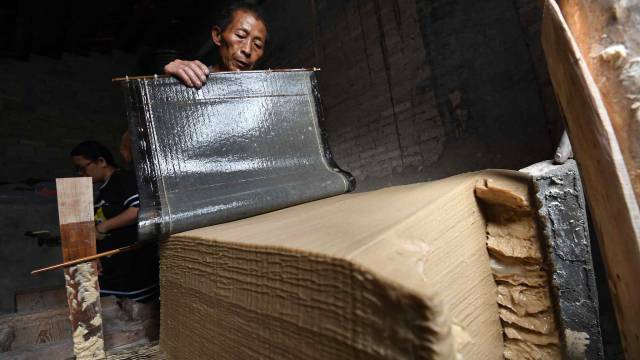 Huang’s paper is sold in central and southern Chinese markets.